Diversity can also create more innovative and interesting stories because you’re surrounded by many individuals with different ideas. With diversity you can learn more about different cultures and individual differences to give the industry quality representation. Without diversity people wouldn’t feel included or that their opinions matter. The TV and film industry should continue to promote diversity and although it has gotten better I still feel we have a long way to go. As a part of my series about TV’s rising stars, I had the distinct pleasure of interviewing Kendra Oyesanya. Oyesanya was born and raised in Oklahoma City, OK and is a graduate of the University of Central Oklahoma. She is not formally trained but has always had a natural talent for dance, singing, and acting. 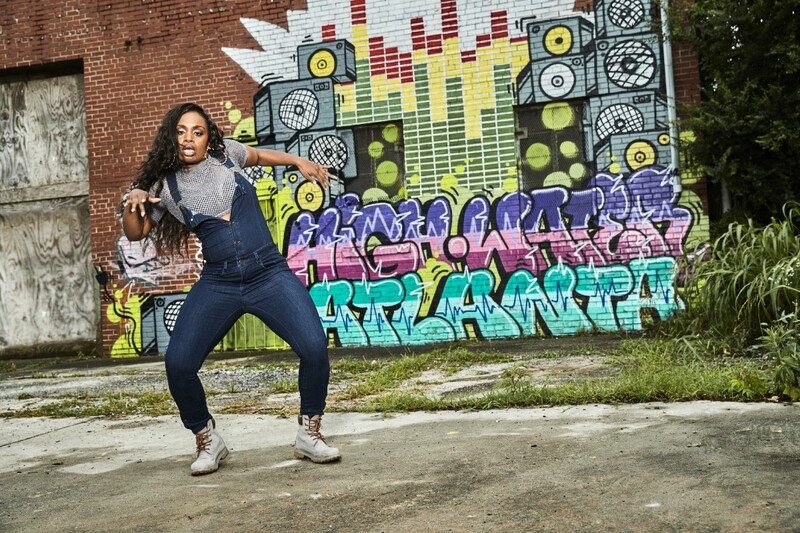 In 2013, Kendra won Pepsi’s “Dance for a Chance” contest and got the opportunity to work with Beyonce’s choreographer Chris Grant and meet Beyoncé personally. It was Chris Grant who convinced Kendra that she should move to Los Angeles and pursue dance professionally. Kendra then moved to Los Angeles, CA to train and work as a professional dancer. Although she moved at an age that most would consider late, she did not allow that to stop her from following her dreams. 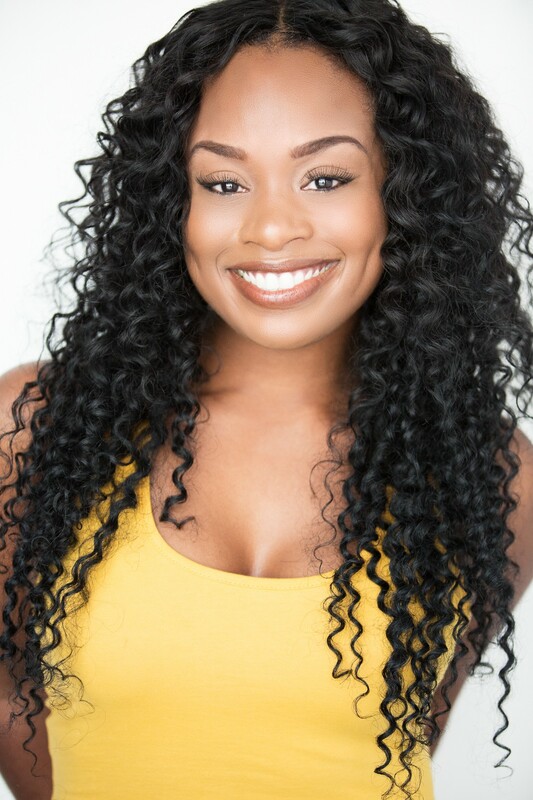 Since moving to Los Angeles, she has worked with some of the industry’s top choreographers such as Laurianne Gibson, Mandy Moore, Chris Grant, Aakomon Jones, Jamal Sims, Jamaica Craft, and Jaquel Knight. Kendra has also toured and worked for major artist including P. Diddy and the Bad Boy family, Beyoncé, Ciara, Flo Rida, Tinashe, Fantasia, Paul McCartney, Tamar Braxton, Neyo and many more. She is now pursuing a career in acting and booked a series regular role in YouTube Premium’s original series “Step Up: High Water” as Poppy Martinez. Kendra recently finished filming season two of the series that airs March 20, 2019. Can you tell us the story of how you grew up? I grew up In Oklahoma City, Oklahoma so I am a country girl. I am also half Nigerian, my dad is from Nigeria and my mom is from St. Louis, MO. I had a pretty normal life and was kind of shy growing up but was a goofy kid. I was always dancing and singing when I was little and loved to watch movies (I would know all the lines). In high school I was on the step team, pom squad, and show choir because I loved to perform. I performed every year in my high school talent show and was voted best dancer my senior year. In college when people found out I could dance, they would have me be the guest performance act for different events. I did two pageants in college and won the title of one and both pageants I was voted “People’s Choice” by the audience. Church has always been a big part of my life. I performed a lot at church for different sermons before moving to LA and was also a youth leader for freshman girls. In 2013 I submitted an entry to Pepsi’s “Dance for a Chance” Beyoncé contest and myself and seven others won an all-expense paid trip to NYC to do a superfan video with Beyoncé’s Choreographer (Chris Grant), meet Beyoncé, $300 cash, and attend her concert. I had my first real rehearsal ever and I remember throwing up because my body wasn’t used to dancing like that due to my lack of dance training. Everyone on set kept asking me if I dance professionally. I told everyone no and people kept saying that I should do it because of how naturally good I was. I’ve always thought about pursuing dance but I honestly never thought I was good enough. On set of the superfan video I asked Chris Grant what I had to do to become a professional dancer. He told me that I need to move to LA and that I would do really well there. Literally a month later with no plan, family, or friends, I moved to LA and the rest is history. When I was on tour for P.Diddy and the Bad Boy family one of the tour girls didn’t feel good and couldn’t go on stage. She was my opposite in the next number so it made sense for me not to go on stage as well. Some of the other tour dancers said the same thing so I thought it was okay. I started getting undressed and while doing so the tour girl that didn’t feel good comes in my changing tent and says she’s gonna go on stage after all. By this time it was too late for me to get back dressed so we missed the number. After the show was over the choreographer asks, “Why didn’t you go on stage? I said well, she wasn’t feeling good and all I can remember her yelling is “YOU NEVER NOT GO ON STAGE, I WILL FIRE YOU!” DO YOU UNDERSTAND ME “! It wasn’t funny at the time but now I definitely laugh about it. I learned that so many things will happen on the job and you have to learn to adapt. So basically you never not go on stage (unless you’re dying lol). I look back now and know the choreographer wasn’t really upset with me but I was new and it was my first tour so she had to put that fear in me. Rule to the wise, always make sure you’re on point and doing your job because you never want to get fired over someone else’s actions. It is important to have diversity represented in TV and film so the audience can relate to who they’re watching. Growing up I didn’t see many people who looked like me on TV and now I’m noticing more diversity on screen. Diversity can also create more innovative and interesting stories because you’re surrounded by many individuals with different ideas. With diversity you can learn more about different cultures and individual differences to give the industry quality representation. Without diversity people wouldn’t feel included or that their opinions matter. The TV and film industry should continue to promote diversity and although it has gotten better I still feel we have a long way to go. The industry can start by hiring a more diverse group of casting directors, writers, producers, and whoever else has a say in casting. As a society we should really demand a more diverse industry and reach out to SAG and other organizations to voice our concerns with lack of diversity in the industry. 1. I wish someone told me the importance of a great headshot. Your headshot gets you in the door and can direct book you on a job. I remember my first dance headshots. I didn’t consult with anyone and just wore a sparkly bra and thought it was hot. It wasn’t . 2. I wish someone told me how important it is to network and connect with people because you never know who knows who. I am blessed to have booked a lot of jobs on my own but I probably would have gotten more opportunities if I learned to network more. 3. I wish someone told me how you’re never really booked until you’re on stage or on set. When you book a job it’s an exciting feeling and you want to tell family and friends but you can lose a job even after you’ve been booked for numerous reasons (creative changes, your look, etc.). I remember booking the Super Bowl for Missy Elliot and being super excited. I signed contracts and spoke with Missy’s management about my sizes and everything. Missy knew a lot of the dancers in the industry but didn’t know me so wanted more dance footage. Well I sent footage of me dancing but it was a group video of me dancing next to another female dancer. Long story short, the video I sent of me dancing with the other girl ended up having me lose the job and her hired. Bonus: When trying to book a job, always send footage of yourself only. 4. I wish someone told me to read your contracts and get a lawyer. It’s a lot of fine print in these work contracts and you can very well be setting yourself up for a huge headache if you sign something without fully knowing what you’re signing. 5. I wish someone told me that rejection is part of the job and that it doesn’t mean you’re not talented. You hear a lot of no’s before you get your first yes. It can make you doubt yourself but don’t be discouraged. Know that what’s for you is for you and God’s timing is perfect. Make sure you have supportive friends and family to keep you motivated and going when you feel like you’re about to blow. Meditating and exercise can also help release stress and tension. It also helps to listen to your body and know when to relax and know that it’s okay to do so. I actually started a movement with some friends after the “Black Panther” movie came out. I got a group of friends together and we danced outside of the movie theater and the video went super viral. It was shown on Good morning America, Insider, The Real, and Ellen even posted it on her Instagram. It then became the #BlackPantherChallenge causing other people to make their own videos with our movement. We called it a movement for the culture. Black Panther was about unity and we wanted to spread that message through dance and African music. The challenge caused people to come together in a positive way and learn more about different cultures. I am grateful for my father. Before I booked the role of Poppy in “Step up: High Water” I found out my dad was sick back home and I left LA for over a month to be by his side. I was ready to put my career on hold to care for him. I remember getting the audition for Poppy and initially turning it down because I didn’t want to leave my dad. I then got the same audition a week later and knew that my dad would want me to go. I went and booked the role and that was my first ever acting audition. A year later during rehearsals for Coachella with Beyoncé my father passed. During my dad’s sickness it made me stronger and pushed me in a way I didn’t know was possible. His fight for his life inspired me create my own life and believe in myself more because I now had a bigger reason to make it in this industry. I don’t think I would be where I am today if it wasn’t for my dad’s fight and strength. My dad would always tell me to make him proud and his words keep me going everyday. Be yourself. It sounds so cliché and simple but it’s really important and has helped me a lot in my career. The best of the best move to LA to make it big but what separates you from one another is that special something inside that only you have. I always tell people to let their personality shine because a lot of the time that can get you booked over someone else. Being myself has helped me to not let society tell me who I should be or what I should look like. It’s helped me to not compare myself to others and love who God created me to be. I would love to have a private breakfast with Michelle Obama. She is the epitome of class and grace and she’s just a phenomenal woman and I would just love to be in her presence. Ah!